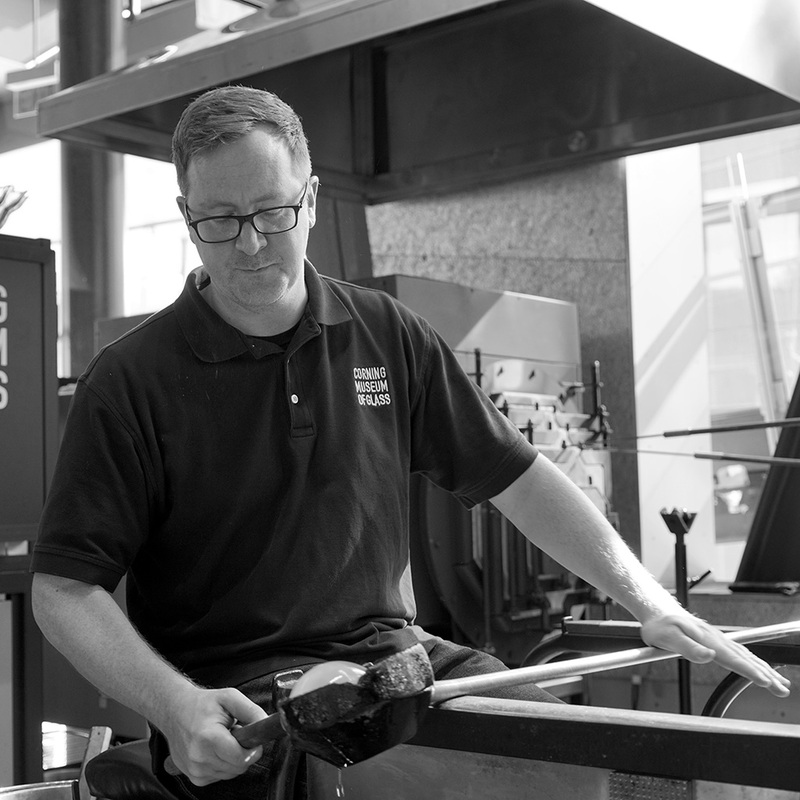 Watch live as Aric Snee, a member of the Hot Glass Demo team, demonstrates his talents as an artist in the Amphitheater Hot Shop on June 15 from 6 to 8 pm. Aric Snee has worked glass in studio, academic, and factory environments, and sees a rich connection in all of these experiences. Snee was Artist-in-Residence at The Studio of The Corning Museum of Glass in May 2008. His residency continued the dialogue between factory and studio, to develop a design line that is inspired by the Finger Lakes region surrounding Corning, N.Y., and suitable for limited production. His work is inspired by the natural world and explores “the relationship between the fragment and the whole,” between art, design, and craft, as he discussed in his recent TED Talk. Recently, working as a designer with the Danish glassware company, Holmegaard, he developed Urania, a mouth-blown acoustic sound amplifier. Urania was nominated for design of the year by Bo Bedre magazine. Snee also received a design award nomination for his Selfie Arm, a design which, like Urania, explores the dynamic interface between humans and their technology. Aric Snee has worked glass in studio, academic, and factory environments, and sees a rich connection in all of these experiences.